Kale is a popular green in our modern kitchens because of kale’s health benefits. We make easy & delicious kale chips as a healthy snack. 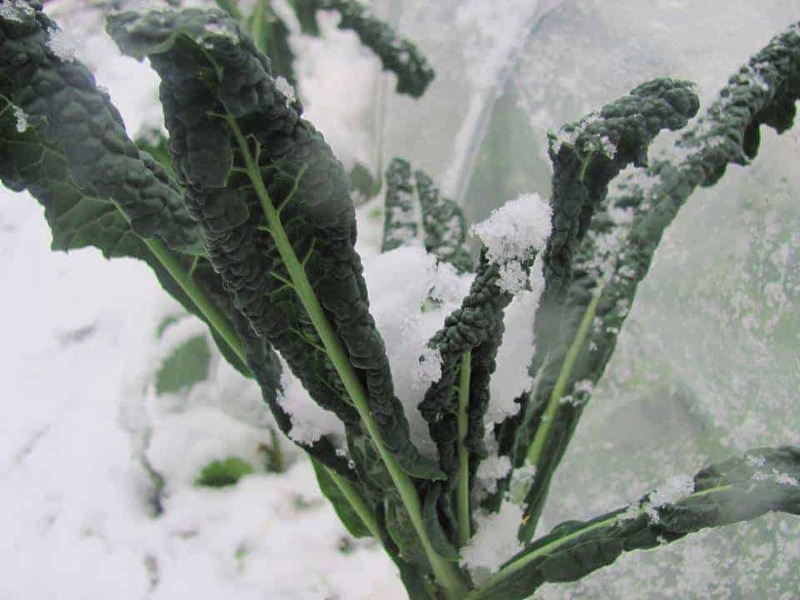 Kale is frost & snow hardy! 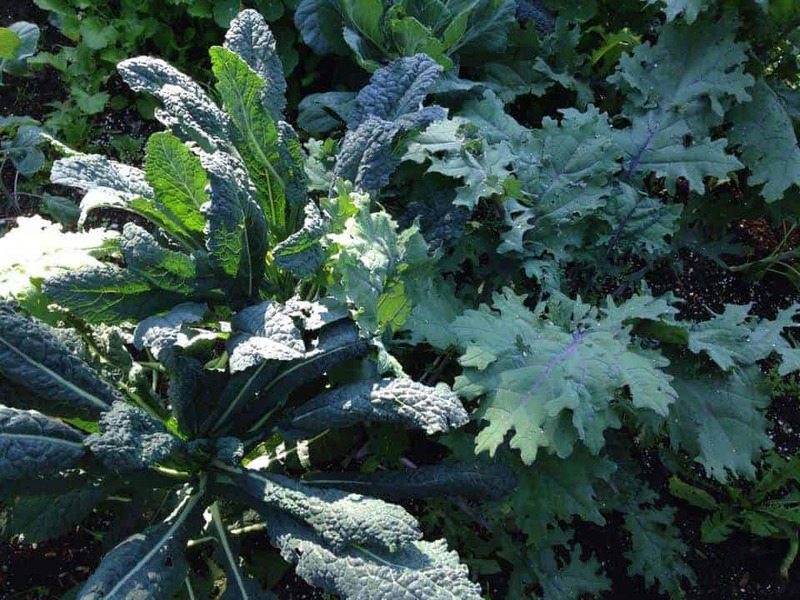 I’ve actually had kale unprotected without season extenders in our fall & winter garden. We live in zone 5b. 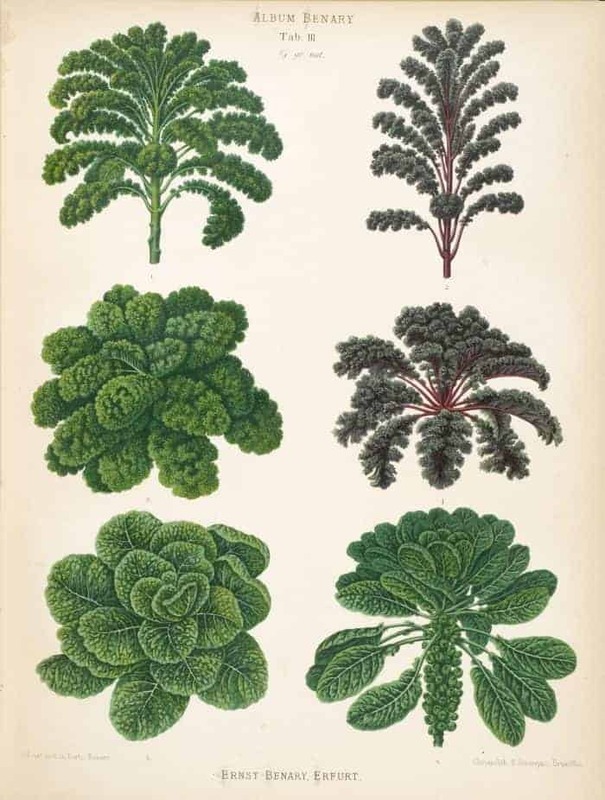 You can overwinter kale for early spring greens! 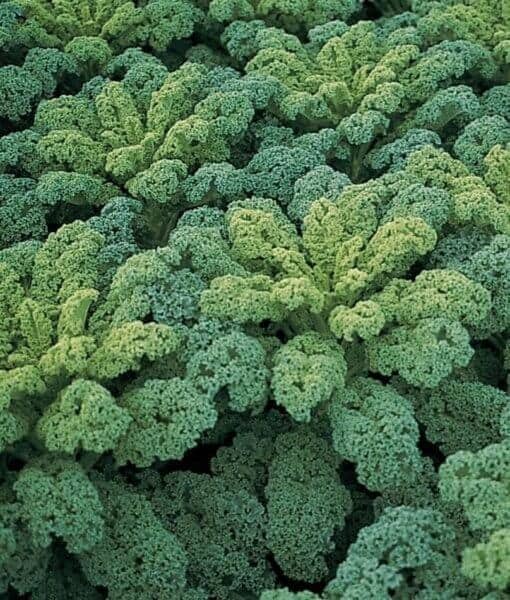 Kale belongs to the brassica family, the same as broccoli, cabbage, brussel sprouts, kohl rabi, cauliflower & many more. 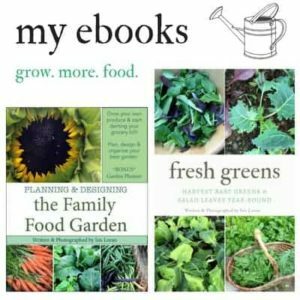 If you want to learn more about the Brassica family and how they evolved you can read this informative post. 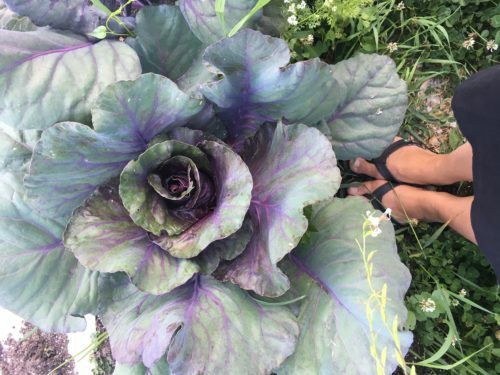 This is a very pretty kale variety with blue-ish leaves that makes excellent addition for edible landscaping. 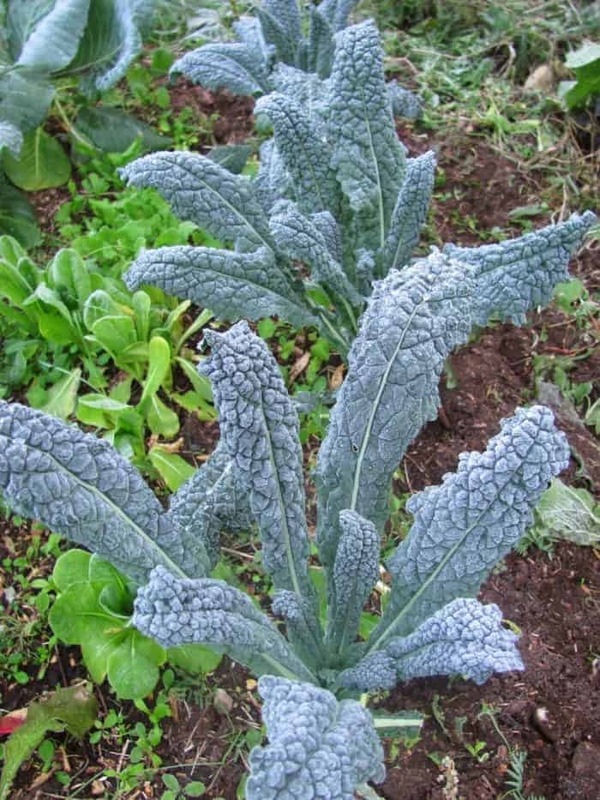 The Lacinato kale leaves have bumpy ridges which makes you think of dinosaur skin. I’ve harvested this variety in the snow up until Dec. Because the baby leaves aren’t as tender as other kale varieties I’ve found it’s not my preferred one to overwinter for early spring harvests. 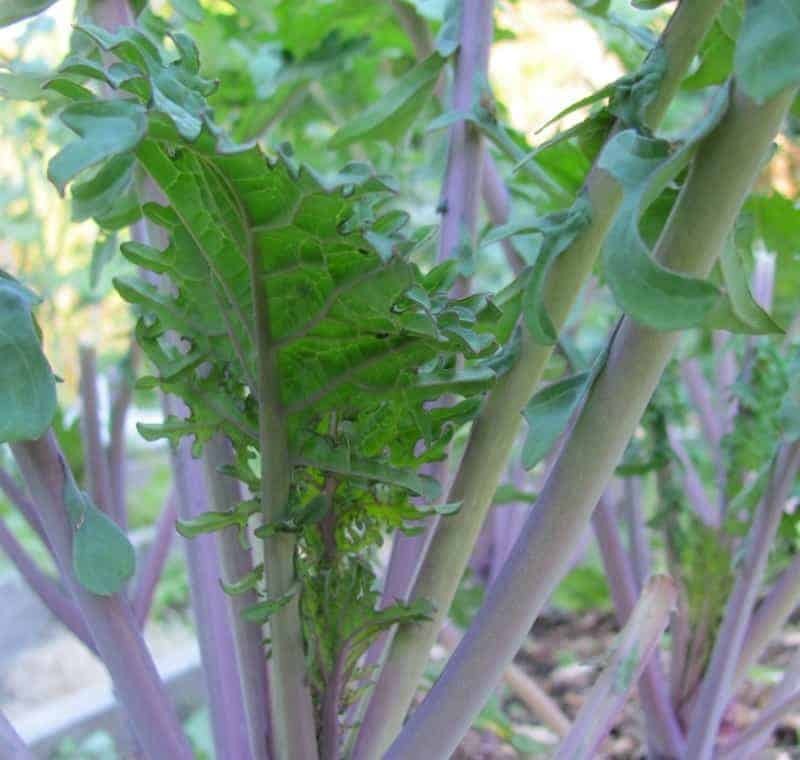 This is a very pretty kale with purple stems. 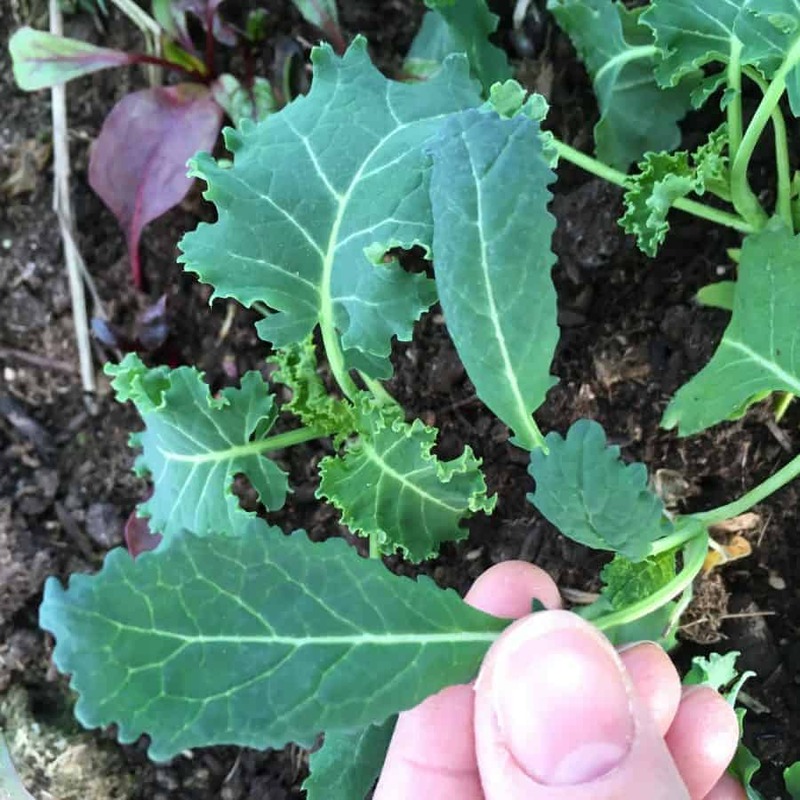 This kale variety makes excellent baby kale leaves too! 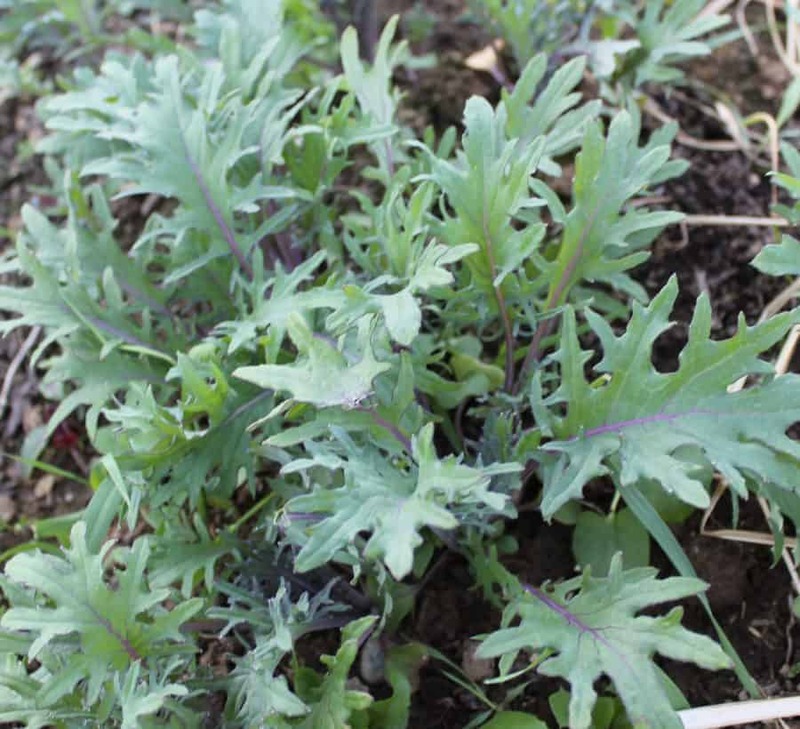 As this variety has curly leaves they make an excellent crunchy kale chip. Excellent as a baby green and tender, the larger they get the less they are good to eat raw and taste better braised or sauteed. 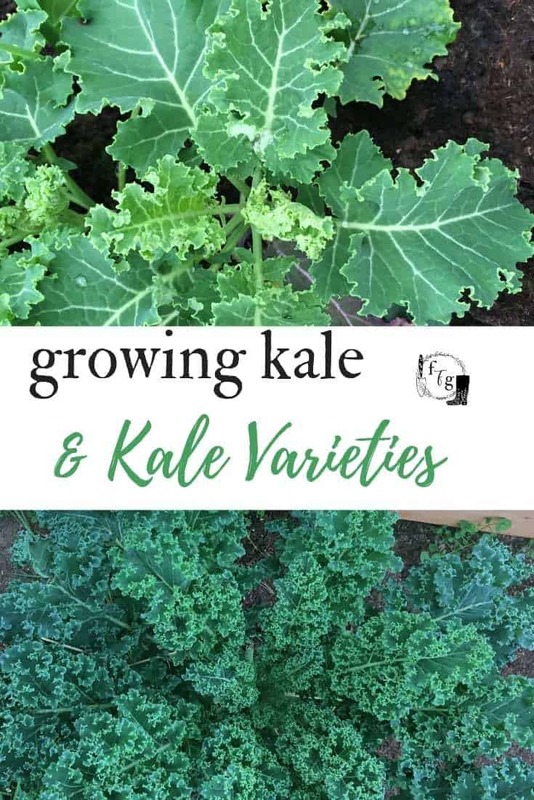 There are many other kale varieties too, just browse your seed catalogs! 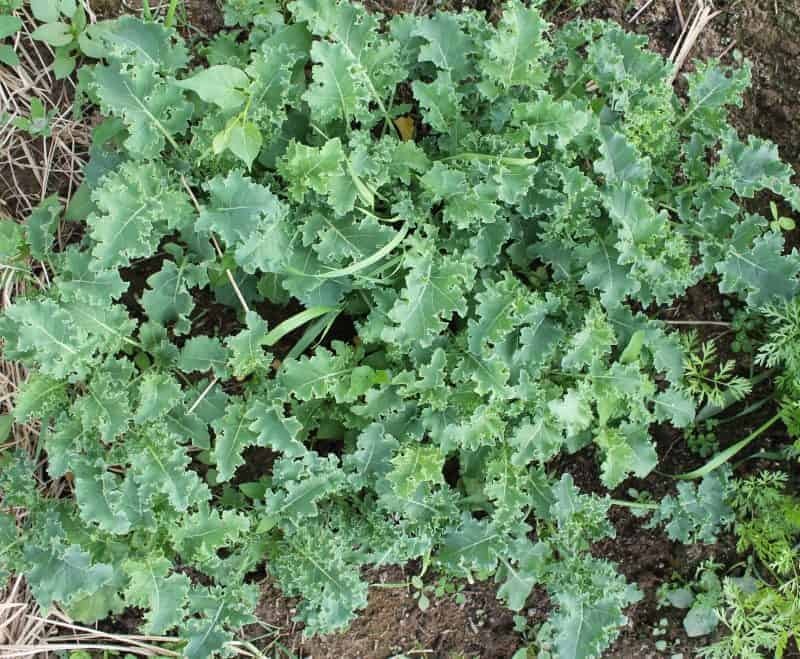 Kale is very easy to grow from seed. Whenever I start seedlings inside the outdoor sown kale catches up so fast to the transplants it’s almost not even worth starting inside. Soil temperature needs to be 10-30°C (50-85°F) and seeds will germinate quickly, around 7-10 days. Ideal pH: 6.0-6.8. 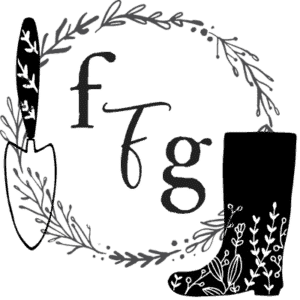 Kale likes compost and soil with a decent amount of organic matter, although I’ve noticed it will still produce greens just at a much slower pace in poorer soil. Baby greens ready in 20-30 days, full sized kale ready in 50-60 days. 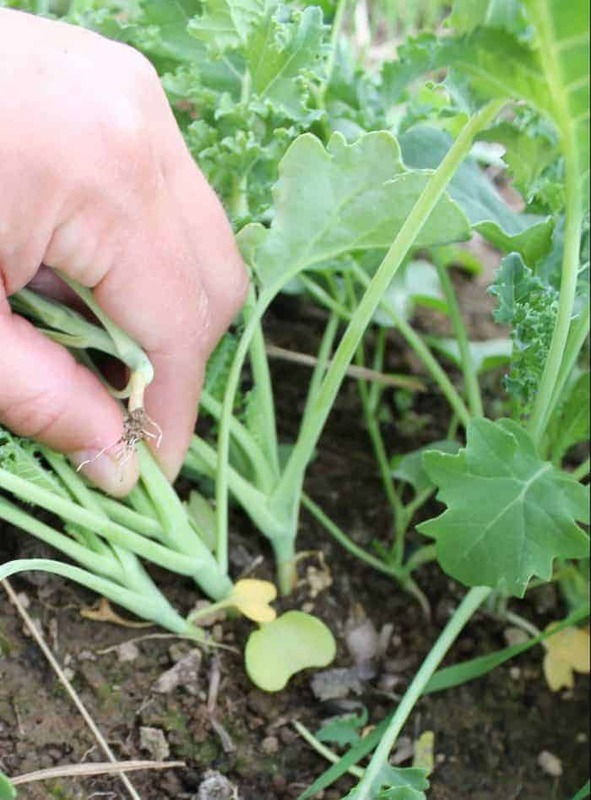 Potential problems include aphids (see some tips to prevent aphids here) & cabbage moths. Using row cover tunnels to prevent cabbage moths and encourage predatory wasps for companion planting. 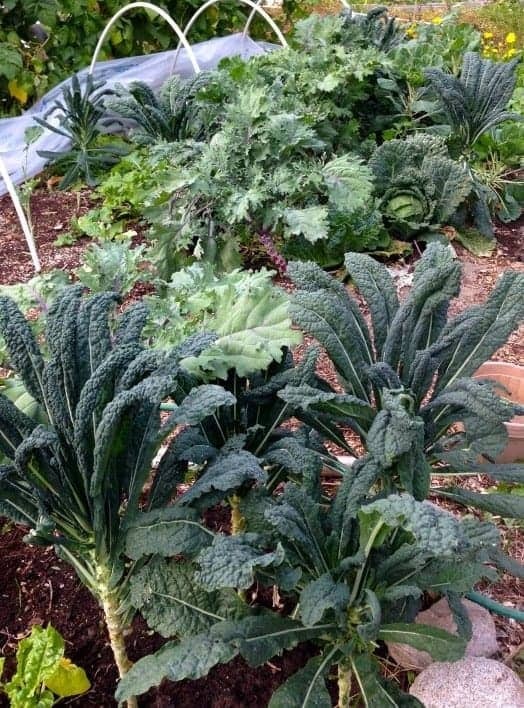 I enjoy growing kale because it is so forgiving of my shady backyard. This year I’m trying dinosaur kale after years of Russian and the information you have is very helpful about the differences. Thanks!